This particular pair of Jordan IX cleats never found their way to Derek Jeter himself (hence the more reasonable price), but they're cool for two reasons. One, there is the original sample tagging, which sheds a little light onto their specs and manufacture. 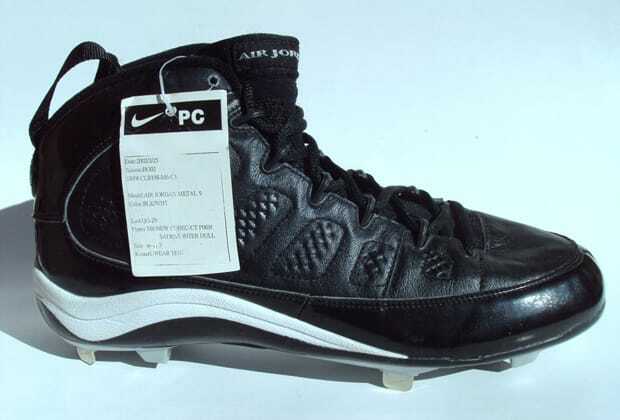 Two, they're virtually identical to the IX cleats that MJ himself wore as a member of the Chicago White Sox. Which makes them quite the display piece.